At the latest Sotheby’s auction for fine wine and spirits, Burgundy iconoclast Domaine de la Romanée-Conti became a name synonymous with the most expensive wine in the world, officially shattering previous world records in the same category. 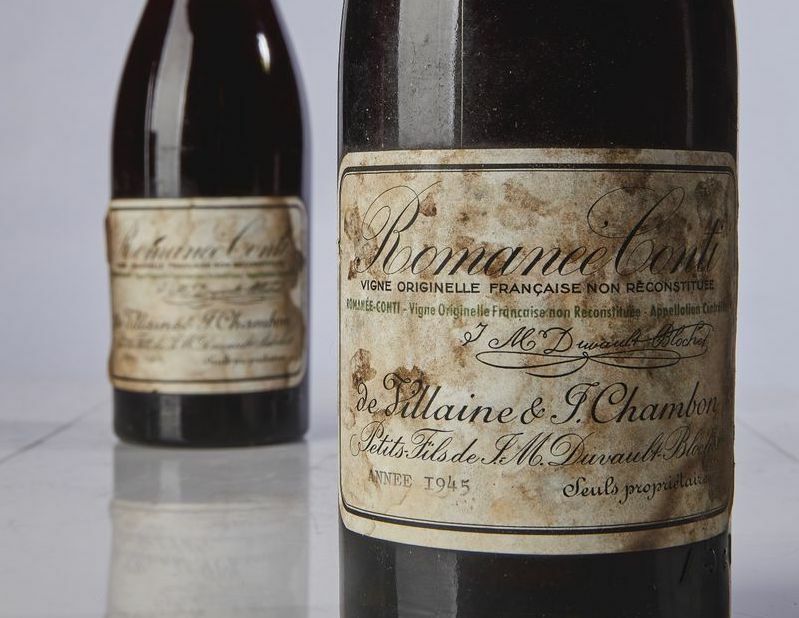 Two bottles of Romanée-Conti 1945 from the private cellars of négociant Robert Drouhin sold for a total of US$1.05 million (S$1.43 million), usurping sales from other high profile vineyards such as Petrus, Chateau Latour and Chateau Lafite. Sotheby’s wine and spirits arm also bested itself with sales totalling more than US$100 million (S$1.36 million) for the first time, a significant bulk of which can be attributed to the complete sales of Drouhin’s collection of old and rare Domaine de la Romanée-Conti vintages. The 100 lot-strong collection from the head of Maison Drouhin was a landmark for Sotheby’s, so rarely does one come across such an extensive selection of bottles that have acquired the status of myth. Projected to sell for a total of just over a million US dollars, the collection eventually fetched five times this estimate at US$7.3 million (S$9.89 million). Aside from this historic moment, reports from the auction showed that Bordeaux and Burgundy still reign supreme at the wine auctions, with both regions accounting for 88 percent of the total wine sales, an eight percent increase from the year prior.